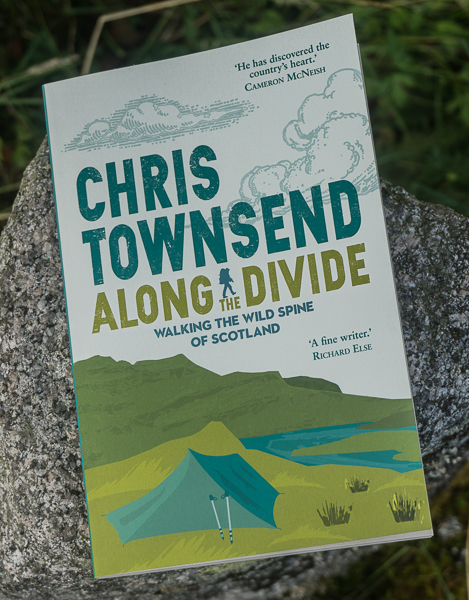 Whilst much attention is given to the damage that pylons, wind turbines and hydro schemes do to the Scottish hills another less well-publicised and in many ways more insidious form of vandalism has been slowly increasing in recent years. 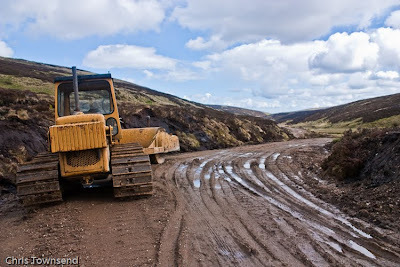 This is the construction of wide tracks high in the hills and up remote glens. These tracks, often in fact wide bulldozed dirt roads, scar the landscape, sully the beauty of the hills and destroy the feeling of wildness. From a distance they can stand out as unnatural lines winding up the hills, attracting the eye and disturbing the natural harmony of the mountain landscape. The Mountaineering Council of Scotland has been concerned about these tracks for some time and has made representations to the Scottish Government for much stricter regulation (there appears to be no regulation at all in some areas). Some MSPs have now taken up the issue and there is now a Hill Tracks Campaign with a petition calling for greater controls on the building of hill tracks. Personally I think that removing tracks and restoring the landscape is needed but stopping new ones being built would at least be a start to ending this vandalism. 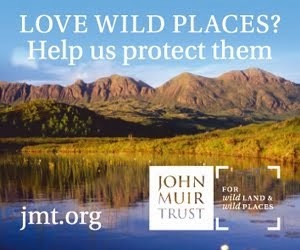 I urge everyone who wants to see the splendour and wildness of the Scottish Highlands preserved to sign this petition. Deffo. 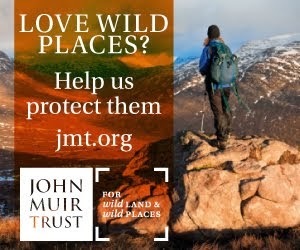 The mountain and wild lands of Scotland are being ruined by these unregulated bulldozed tracks and some strict regulation is urgently needed. I live in a conservation are and cannot even put windows in my house as I want to, in a place where no-one will ever see them; yet these vandals can plough great furrows into our priceless landscapes: madness. Does anybody else see a difference in scale with some of the newer tracks? I've become accustomed to forestry access tracks being part of the landscape and many of those, once the vegetation around them has matured, become quite subtle intrusions over time. But there seems to be a trend now for wider, uglier great gouges out of the hillsides. Is this because less care is being taken or are they using a different type of excavator?